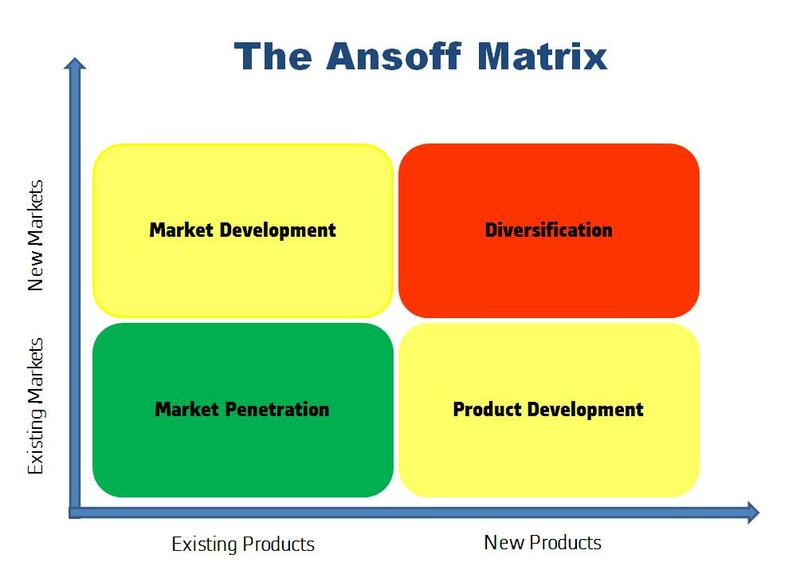 The Ansoff Matrix (proposed by Igor Ansoff in 1957) is made up of the two axes „products“ and „markets“, each ranging from „present“ to „new“. Print out the matrix and place each item in your business portfolio within it, with the position relating to the intended strategy. Now use this as a basis for discussing whether this is the right basic strategy or whether you want to rethink it. That does not mean that you should avoid „diversification“ at all costs; situations might arise that call for a move into new markets and/or developing new products. However, there should be a good reason (anticipated profits!) to justify taking the risk. My personal experience is that companies that think carefully of their strategy and then stick to it (except when there is a good reason for revising it) will succeed. The Ansoff Matrix is a good starting point for reaching a meaningful decision. Hallo Christian, vielen Dank für deinen Beitrag. 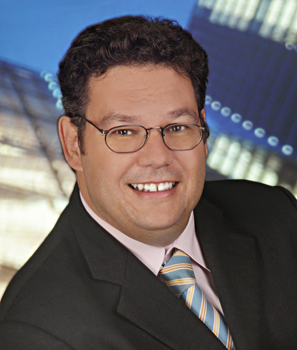 Ich halte die Ansoff Matrix auch für ein hervorragendes Instrument, um die Basisstrategie für neues Wachstum festzulegen. Auf der 2. Stufe versuche ich aber die vier Äste noch weiter zu verzweigen und zusätzliche Instrumente mit einzubeziehen (Kooperationsstrategien, Wachstum entlang der Wurzel, Blue Ocean, Business Model Canvas usw.) . Aber für die erste Orientierung ist meiner Ansicht nach die Ansoff Matrix ein sehr geeignetes Instrument. Danke für Deinen Kommentar! Vielleicht magst Du zur 2. Stufe einmal einen Gastbeitrag in meinem Blog schreiben?